Coaching for young children but that is just one aspect which is part of the itinerary for Egypt’s Mohamed Gharib on his current visit to Sierra Leone, where he is conducting a Developing a National Sports Structure Course. 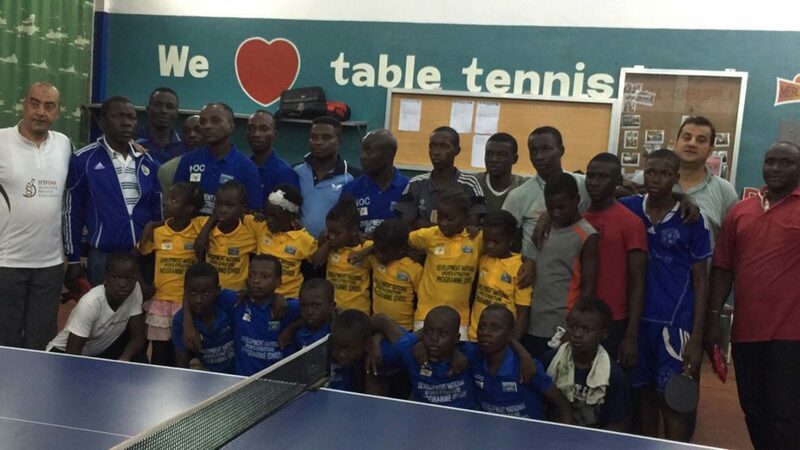 Supported by Olympic Solidarity and organised under the auspices of the ITTF Development Programme, matters commenced on Saturday 12th November and will conclude on Tuesday 13th December. Additionally, Mohamed Gharib has met with several officials and coaches covering a wide range of topics from training to transport, from food to equipment as well as designing programmes to improve the level of play. On all occasions the response has been positive, enthusiasm has very much been the order of the day. The attitude has greatly impressed the experienced Egyptian coach; especially the young players in whom he sees great potential. Notably, Prince Swallay, the Treasurer of the National Olympic Committee and A.G. Koroma, the Administrative Secretary, have visited the Training Camps that have been held for young players. Likewise, from the Sierra Leone Ministry, Michael Shamsu, the Deputy Director of Sport and Hasfing Spaine, the Administrative Director, have visited. Also, Mohamed Gharib has met Sia Nyama Koroma, the First Lady of Singapore whom he has previously coached, whilst in agreement with Lakish Alie a meeting with the Chinese Ambassador has been arranged. A busy time but most worthwhile; pertinently, there has been a great deal of media attention. Photographs of table tennis players and coaches have been prominent in the local press.